The 2014 disposal of tractors and other implements procured using a $50 million (K36.7 billion) line of credit continues to haunt government as the Malawi Supreme Court of Appeal has given government a 60-day ultimatum to review the deal. In its ruling, the court sitting in Lilongwe yesterday overturned an earlier High Court decision in favour of the Attorney General (AG) that dismissed a report and recommendations the Office of the Ombudsman made on the dubious sale of tractors and maize shellers meant for smallholder farmers to senior civil servants and some politically-connected people. The three-judge Malawi Supreme Court of Appeal panel comprising judges Lovemore Chikopa, Anthony Kamanga and Edward Twea said it was its finding that the Office of the Ombudsman was right in the matter. Revelations of the dubious disposal of the 100 tractors and 144 maize shellers for a song came to light in 2016. The farming equipment was part of the Green Belt Initiative to put about one million hectares under irrigation and benefit millions of Malawians in turn. It was procured using a $50 million (K36.7 billion) line of credit from Exim Bank of India. 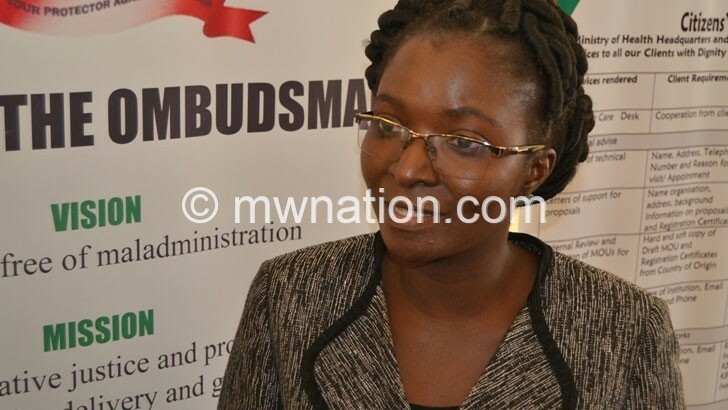 In the report titled The Present Toiling, The Future Overburdened, the Ombudsman cited cases of gross maladministration and demanded the prosecution of those involved in the disposal of the assets as well as an apology to the people of Malawi. In 2017, the High Court favoured the AG whose office, as chief legal adviser to the government, successfully challenged the report and its findings on the basis that the Office of the Ombudsman had overstepped its mandate by ordering government officials to apologise for flawed procurement of tractors and their subsequent sale. The AG further challenged the authority of the Ombudsman to demand the said apology, describing the same as “unreasonable”. The AG contended that there was no independent assessment to verify claims by the Ombudsman that government procured archaic tractors from India. The AG also faulted the Ombudsman for allegedly dictating the course of action on how Parliament should conduct its legislative business after Ombudsman Martha Chizuma recommended that the National Assembly should exercise caution when dealing with similar loan authorisation bills. But the Ombudsman, through their appointed legal counsel, Modecai Msisha, appealed against the ruling in the Supreme Court of Appeal in 2017. The Ombudsman observed that Parliament had ignored its own Standing Orders, which were being abused by government to fast-track poorly scrutinised laws. The Ombudsman’s report also specifically called for the prosecution of the officials who were members of the internal procurement committee (IPC) and “presided over the sale of the farm machinery and benefitted from the sale should be prosecuted in accordance with the Public Procurement Act”. The case in the Supreme Court centred on: Whether the Ombudsman had jurisdiction to investigate and issue a determination on the matter and whether the directions by the Ombudsman were reasonable for the government to implement. Reacting to the ruling, spokesperson in the Office of the Ombudsman, Arthur Semba, yesterday said he was pleased with the verdict. He said it was right and proper for government to follow the court order.